Nursing homes are tasked with providing round-the-clock, coordinated care to what is usually a sizable population of elderly adults who are otherwise incapable of caring for themselves. And while many nursing homes do provide quality care to their residents, there are many nursing home residents who fall victim to neglect and abuse every year. If a patient is a victim of nursing home abuse or neglect and has suffered harm as a result of the facility's negligence or carelessness, it is very important that the Washington State Department of Social and Health Services (DSHS) is notified. The phone number for the DSHS hotline for reporting nursing home abuse or neglect in Washington state is 1-866-363-4276. Once DSHS is made aware of the potential abuse or neglect, a trained representative of the agency should conduct a thorough investigation into the circumstances surrounding the incident. The agency will work to determine if the incident was accidental, or if it was the result of abuse or neglect or could have otherwise been prevented. This may involve taking statements from witnesses and interviewing anyone who may have information about the incident itself. As an official government agency, DSHS is also priveleged with access to information that can be difficult for an attorney to obtain in the event of a lawsuit. Notifying the agency about the incident may be the best way to ensure that a paper trail of documentation is generated, which an attorney may be able to use later on should you decide to pursue a lawsuit. Once DSHS has been made aware of the incident, it may be in your best interests to consult with an experienced nursing home abuse lawyer about your legal rights and possibly pursuing a personal injury claim against the nursing home, as well as any other potentially liable parties. Other examples of liable parties in nursing home abuse cases might include a third-party contractor or another entity which is not directly affiliated with the nursing home. 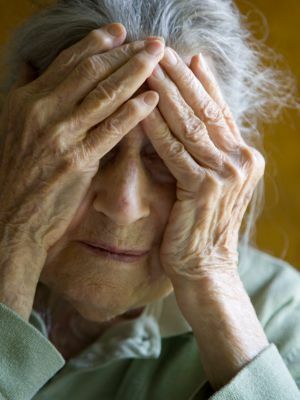 Nursing home abuse and neglect are completely preventable and avoidable. People spend lots of their own hard-earned money under the assumption that the nursing home is going to provide adequate care for their loved ones. Simply put, nursing home abuse should never happen. If you or a loved one has fallen victim to nursing home abuse or neglect, it may be in your best interests to consult with an experienced nursing home abuse lawyer. Pursuing a personal injury claim may be the best way to hold nursing homes accountable for their actions and ensure that other nursing home residents do not become victims as well. Call our nursing home abuse attorneys at (206) 727-4000 or use the confidential contact form on this page to get started.